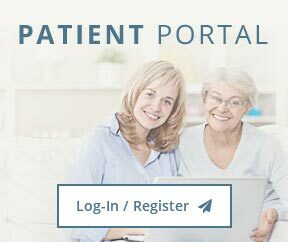 To understand what to expect please read through our downloadable Patient Forms. You can also find practical information on our site that you need, such as a map and directions to our office, practice hours and more. There’s also background information about our committed staff and our first visit procedures. You can even save some time at your first visit by printing out and completing the patient forms prior to your appointment. Our staff is committed to not only the care and service of your feet, but to the whole person as well through our cheerful and knowledgeable experts. Dr. Chad A. Summy has been practicing podiatry in Bellevue, Nebraska since 2003. Dr. Summy was born and raised in Earlham, Iowa. He attended Buena Vista University in Storm Lake, Iowa and obtained a Bachelor’s of Art degree in biology. He then attended Dr. William M. Scholl College of Podiatric Medicine affiliated with Chicago Medical School. He completed 3 years of hospital-based residency training in Chicago, Illinois. Dr. Summy is board certified in both foot surgery and reconstructive rear foot/ankle surgery by the American Board of Foot and Ankle Surgery. He is a Fellow of the American College of Foot and Ankle Surgeons, a member of the American Podiatric Medical Association, Nebraska Podiatric Medical Association, and the American Academy of Podiatric Practice Management. Dr. Summy enjoys golfing and spending time with his family in his spare time. Dr. Summy is married to Sara and together they have 3 children, a daughter Sophia, son Charlie and a daughter Elsie. Dr. Lensing grew up in Ottumwa, Iowa and earned her undergraduate degree at Loras College in Dubuque, Iowa. She received her Doctorate of Podiatric Medicine from Des Moines University – Osteopathic Medical Center in 2007. She then completed her three year surgical residency program at North Colorado Medical Center in Greeley, Colorado. Dr. Lensing is trained in all aspects of the lower extremity including forefoot, rear foot and ankle reconstructive surgery; trauma; wound care and limb salvage surgery; sports medicine; pediatrics and arthroscopy. As part of her residency training, she also traveled twice to Mexico for the Yucatan Crippled Children’s Project and provided surgical correction for pediatric deformities. Dr. Lensing is a member of the American Podiatric Medical Association, the Nebraska Podiatric Medical Association and a Fellow of the American College of Foot and Ankle Surgeons. She is licensed to practice in the state of Nebraska. On a personal note, Dr. Lensing is an avid volleyball player and enjoys spending time with her husband PJ, son Ty, daughter Taya and dog Zeus. A native Nebraskan, Dr. Buddecke grew up in Kimball. He received his doctorate in Podiatric Medicine from Des Moines University in Des Moines, Iowa in 1998. He completed four years of postgraduate hospital-based surgical training at Broadlawns Medical Center in Des Moines. This surgical training included additional fellowship training in foot and ankle trauma and reconstruction. This included overseas training in advanced deformity correction with pediatric orthopedic surgeons at the Orthopaedic Hospital – Speising in Vienna, Austria. Dr. Buddecke is board certified by the American Board of Foot and Ankle Surgery in foot surgery and reconstructive rear foot and ankle surgery. He is a member of both the Nebraska and Iowa Podiatric Medical Societies and the American Podiatric Medical Association. He is also a member and very involved with the American College of Foot & Ankle Surgeons. Dr. Buddecke routinely gives scientific lectures on foot and ankle surgery at medical conferences around the country. He often teaches surgical techniques to other physicians at various surgical skills courses. He has also been a member of the Education and Scientific Affairs Committee for the American College of Foot & Ankle Surgeons over the last several years and currently chairs that committee. Dr. Buddecke takes a lot of pride in maintaining his academic knowledge and keeping up to date with the latest techniques in foot and ankle surgery. He is passionate about reconstruction of the forefoot, hind foot, and ankle as well as foot and ankle trauma. Prior to coming to Omaha in 2006, Dr. Buddecke was in private practice in Ottumwa, Iowa for four years. He is proud of his Nebraska heritage and the values he learned while growing up in rural Nebraska. He takes a special interest in all of his patients and his goal with every patient is to alleviate the problem as quickly as possible using the most conservative measures. If surgery is necessary, he has the training and experience to handle even the most complex problems. He truly enjoys getting to know his patients on a personal level. A Nebraska native, Dr. Hinze grew up in North Platte and attended Creighton University for her undergraduate education. She received her Doctorate of Podiatric Medicine from Temple University School of Podiatric Medicine, Philadelphia, PA. She then completed three years of post graduate hospital-based residency training in foot and ankle surgery at Crozer-Keystone Health Systems, Delaware County, PA.
Dr. Hinze specializes in foot and ankle surgery, including tendon tears, ankle ligament repair, flat foot reconstruction, and forefoot deformities such as bunions and hammertoes. When possible, she follows a protocol of attempting conservative care first, prior to pursuing surgical correction. However, if conservative care is not the proper course of treatment, or should it fail, her expertise in foot and ankle surgery allows her to pursue the proper surgical treatment. Dr. Hinze is licensed to practice in the state of Nebraska and is board certified in foot, rear foot reconstruction and ankle surgery by the American Board of Foot and Ankle Surgery. She is a Fellow of the American College of Foot and Ankle Surgeons and a Diplomat of the American Board of Podiatric Surgery. She is also a member of both the American Podiatric Medical Association and Nebraska Podiatric Medical Association. Michael R. Powers, D.P.M, grew up in Papillion, Nebraska. He received his Doctorate of Podiatric Medicine from the Dr. William M. Scholl College of Podiatric Medicine in Chicago in 1997. He then completed three years of hospital-based residency training that included surgical and orthopedic emphasis. Dr. Powers specializes in advanced surgical procedures of the foot and ankle, including rear foot and ankle reconstruction, ankle ligament repair, ankle arthroscopy, and sports-related injuries. He also has advanced training in pediatric and adult flatfoot reconstructive surgery. Dr. Powers is licensed to practice in Nebraska and is board certified in rear foot and ankle reconstruction by the American Board of Foot and Ankle Surgery. He is a Fellow of the American College of Foot and Ankle Surgeons and a Diplomat of the American Board of Podiatric Surgery. He is also a member of the American Podiatric Medical Association and Nebraska Podiatric Medical Association.